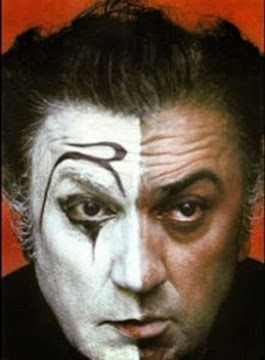 To commemorate the 20th anniversary of the passing of Federico Fellini, the CCR invites you to take a walk down Memory Lane on March 4 and celebrate Carnival at the same time. The projection of a short film produced by a close associate of Fellini will highlight the prestigious career of the Maestro. The film will be followed by a delicious dinner served by "Il Belli" near Piazza Cavour. On this Mardi Gras evening, "ogni scherzo vale" (every trick is fair game), so let your imagination run wild and dress up as a movie star or a character from one of Fellini's movies, or in black and white for a stunning effect! The evening will begin at 7 p.m. with aperitivi and amuse-bouche. The film will be shown at 7.30 and dinner will be served at 8.30. This fabulous menu will no doubt tempt your palate. Take note that "Il Belli" serves only the best Danish beef in town. Raffle tickets will also be sold to raise funds for Andos, CCR's charity this year. At just €10 a ticket, you could win one of two weekends for two at beautiful agriturismo (farm holiday) resorts in Marche or Umbria (€200 value each). All proceeds from ticket sales will go to Andos. Can’t attend the event but still want to buy tickets for the charity raffle? Let us know at canadarome@gmail.com. Where: Ristorante Il Belli, Via Giuseppe Gioacchino Belli 33; CCR members get a 15% discount at this restaurant! Time: aperitif from 7 p.m on, dinner at 8:30 p.m.